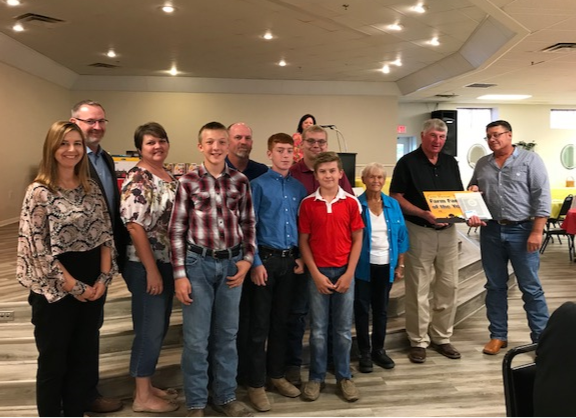 Robert & Karla Beying and family received the 2018 Farm Family of the Year Award. The award was presented by Leavenworth County Farm Bureau President Matt Yunghans. William Parsons received the 2018 Natural Resource Award. The award was presented by LCFB President Matt Yunghans.